Lake Manassas – Will the City Council invest in public access or a lawsuit? UPDATE April 7, 2011 — At Manassas City’s budget mark up session on Wednesday, April 6, Councilmen approved $80,000 to hire a policeman to patrol Lake Manassas. This is in addition to funding a lawsuit aimed at keeping Lake Manassas closed. How much is Manassas prepared to spend to keep the Lake closed? UPDATE February 20, 2011 — According to the Washington Post, the Manassas City Council has rejected partner support, including Brookfield’s offer to donate land for a public access point and the Game Dept. offer to invest $100,000 for infrastructure. Councilmen claimed the $16,400 investment to cover the gap was too much for the City to pay… but they are apparently willing to invest significant public funds to ensure the Lake stays closed to the public. What: Speak at Citizen’s Time to support efforts to re-open Lake Manassas and request a work session to update the public on progress. Numbers count – help jump-start City Council action to Re-Open Lake Manassas! Absolutely cannot attend? Email Councilmen at CityClerk@ci.manassas.va.us. 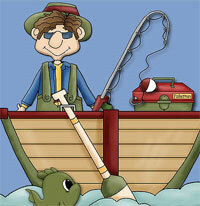 The City Council is on the hook, now it’s time to reel them in. Currently the Council has put this project on the back burner — despite significant support from partners that creates an unprecedented golden opportunity to Re-Open Lake Manassas now. The VA Game Dept. has committed $100,000 for a boat ramp, finger pier and parking lot as well as long-term management support. The developer of the Saranac community has committed to donate land for a public access point. George Mason University wants to operate a concession stand to ensure safety and education opportunities. According to today’s News & Messenger, City of Manassas Mayor Hal Parrish supports opening Lake Manassas BUT only after the City “resolves a lawsuit” aimed at opening the Lake to public access. This position begs the question… if the City does in fact support opening the Lake, why invest significant funds fighting a lawsuit aimed at doing just that? Here’s what we know. At the City Council’s June 30 meeting, most Councilmen strongly appeared poised to close the door on discussions aimed at opening Lake Manassas to the public, despite significant support offered by partners. The Virginia Dept. of Game & Inland Fisheries (DGIF) has committed $100,000 to build a boat ramp, parking lot and finger pier. They would also monitor the Lake and contribute an operations stipend to offset costs for a concession stand. The Manassas City Council has scheduled a work session to discuss progress on current efforts to open Lake Manassas to the public. The meeting agenda is online here. The Manassas City Council is following through on its decision to open Lake Manassas to fishing, boating, and potentially other recreational uses. The local fishing and conservation communities continue to apply steady pressure to open up public land for outdoor recreation. 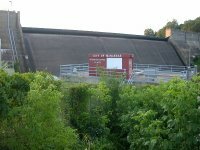 On May 24, the city’s Public Works Director described negotiations with the Virginia Department of Game and Inland Fisheries (DGIF) and with George Mason University (GMU) as “not fast, but deliberate.” A more-complete report is scheduled for a work session on July 1, after a City Council organizational meeting at 5:30pm. 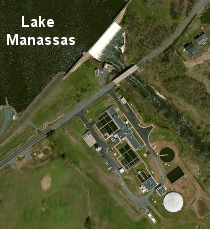 Manassas is working out the “how do we open the lake to public use” details. Operations at the boat ramp could be staffed by GMU students and personnel associated with the Freedom Center. DGIF game wardens would patrol the lake, checking fishing licenses and providing a law enforcement presence. The state agency may be able to obtain $100-200,000 in Federal grants for constructing a boat ramp and boat rental building. In addition, state authority would streamline the permitting process (though the city still plans to notify Prince William County of its plans). 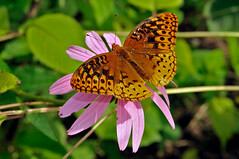 The City Council’s willingness to open Lake Manassas stands in clear contrast to the US Fish and Wildlife Service (which has kept Featherstone National Wildlife Refuge closed since acquiring it 40 years ago) and the Prince William Board of County Supervisors (which has kept Dove’s Landing closed since acquiring it in 1996). Those agencies have maintained a “Public Land – Keep Out” approach at parcels that could have been opened long ago – at minimal cost – for fishing, wildlife observation, hiking, and other passive recreational uses. May 24 — The Manassas City Council has scheduled an update on proposals to open Lake Manassas to the public for fishing and boating at tonight’s meeting, 5:30 p.m. at City Hall (click here for the agenda). The Virginia Dept. of Game & Inland Fisheries (DGIF) is working with the City of Manassas to find a suitable lake operator, including consideration of George Mason University and others. DGIF has budgeted money to construct a ramp and finger pier, which can move forward when an agreement is reached between all involved parties. This update follows the Council’s December 7 work session, where the Council voted unanimously to direct the Utilities Commission to continue negotiations with DGIF to open Lake Manassas to public use. Following the update at tonight’s meeting, the Council could schedule a new work session to review and consider more detailed information. Last night, the Manassas City Council reviewed the status of Lake Manassas in a work session. The Virginia Department of Game and Inland Fisheries (DGIF) has proposed to acquire public access and build a boat ramp at the lake, using Federal Sport Fish Restoration grant money.